Settling In: California Highway 1 is your “discovery route” to adventure. This historic road features scenic beaches, state parks, wildlife habitats, wine regions and quaint towns throughout San Luis Obispo County. 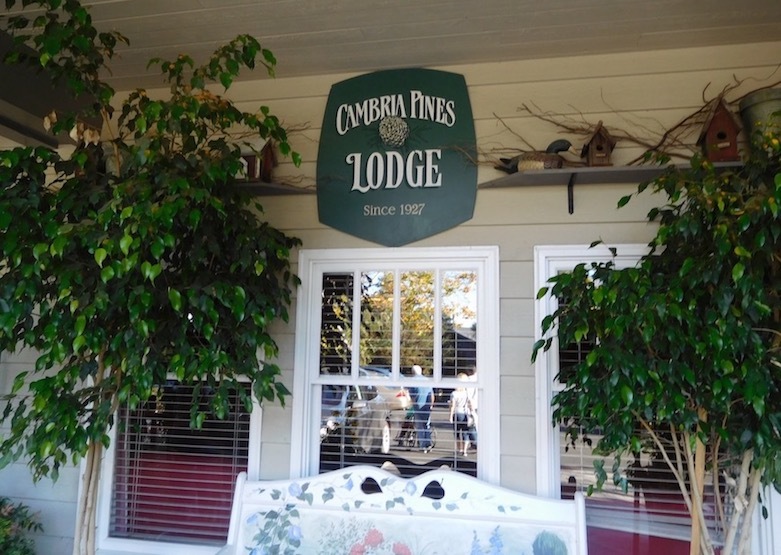 Our destination was the hamlet of Cambria and the Cambria Pines Lodge. 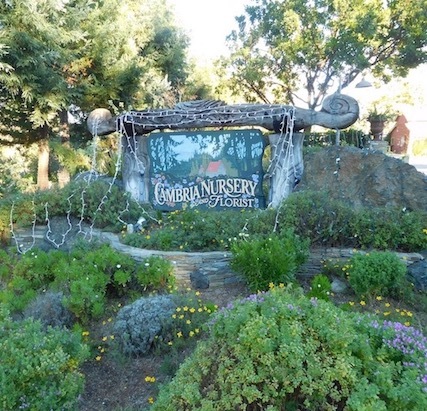 The full-service 152 room resort was built in 1927 and features 25 acres of themed gardens, meandering paths, a heated pool, plus a nature trail leading to the charming village of Cambria. A breakfast buffet is included in the price and parking and Wi-Fi are free. The rustic Fireside Lounge features a full bar, extensive wine list, appetizers, late night snacks and evening entertainment. The Lodge’s motto, “Your Place to Dream,” is spot on. For more, go to www.CambriaPinesLodge.com. At the resort, the Sojourn Healing Arts Spa (www.SojournSpa.com) offers a full menu of massages, facial and body treatments. Their retail nursery is nearby and the short walk is worth it. Walk the Fiscalini Ranch Preserve forest loop or bluff trails. Download the map at www.CambriaRanchWalks.com. 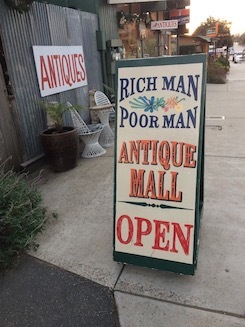 Wander Cambria’s East and West Villages and prowl the art galleries, garden shops, antique stores and boutiques. Drop into the Cambria Historical Society (www.CambriaHistoricalsociety.com). It spotlights 150 years of growth. While there, pick up the self-guided walking tour. 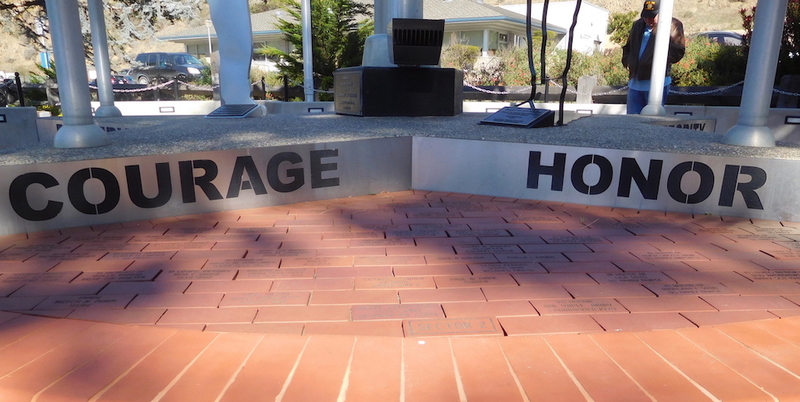 Take time to visit the Veterans Memorial in the center of town, dedicated on Memorial Day in 2011. The flag monument and encircling engraved bricks honor the service and sacrifice of veterans, with emphasis on home town military. Where to Eat: Lots of excellent farm-to-table restaurants in Cambria. Here’s my quick guide…bon appetit! Robin’s Restaurant, www.RobinsRestaurant.com, is located in a restored adobe home in the East Village. It features charming gardens and a cozy setting. Menu picks: lamb skewers appetizer and cioppino for an entree. Linn’s Restaurant and Gift Shop on Main Street, www.LinnsFruitBin.com, is famous for its olallieberry pie, jams and baked goods. You can’t miss with their chicken pot pie or sandwiches on house-made bread for your meal. The full page dessert menu awaits your final decision. Wash your meal down with olallieberry lemonade. The intimate Black Cat Bistro, www.BlackCatBistro.com, has won the Wine Spectators Award of Excellence nine years in a row. Begin with the seared romaine salad, move on to the sea scallops with corn pudding and finish up with salted chocolate carmel pot de crème. Wrap Up: I’ve just scratched the surface of the California Highway 1 Discovery Route. There are 101 miles of adventure including 10 towns, beaches galore, water sports, hiking, museums, farms, vineyards, Hearst Castle, golf, bike paths and a dizzying array of annual events. For more information, logon to www.Highway1DiscoveryRoute.com. Thanks to various websites for information, photos, etc. This entry was posted in California and tagged california, california travel, cambria, highway 1, san luis obispo. Bookmark the permalink.